The international firm Ganti and Associates Design has proposed a skyscraper to be built out of repurposed shipping containers. This skyscraper would be erected in the Dharavi slum in Mumbai, India. 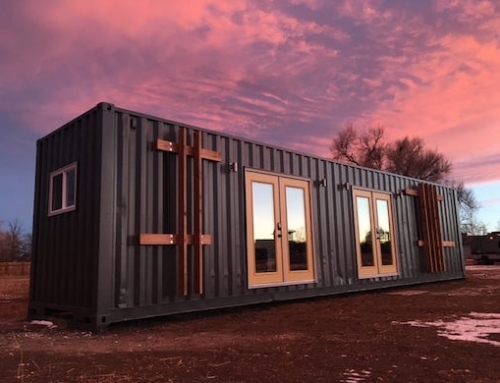 While building large structure such as this out of used shipping containers is certainly very sustainable, there is always the question of how to make them structurally sound and how to prevent excessive heat gain to consider. 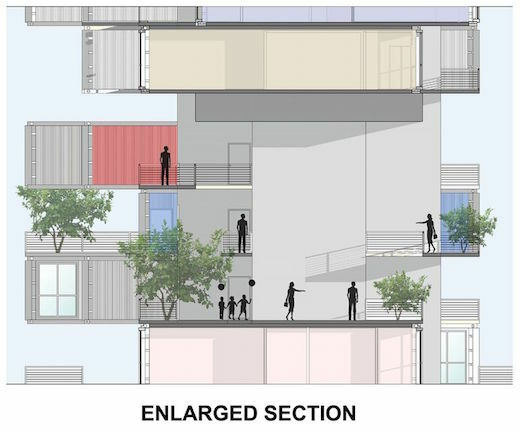 The proposed shipping container skyscraper does not yet have a name. Once built, it will rise to a height of roughly 32 floors, or 328 ft (100 m). 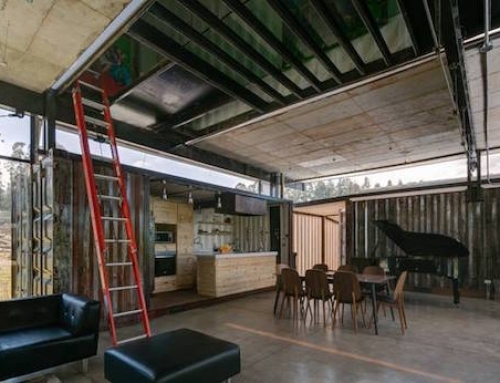 To bear the weight, a steel girder framework would be used to support the shipping containers. Judging by the concept pictures, not much would be done to alter the original shape of the containers. 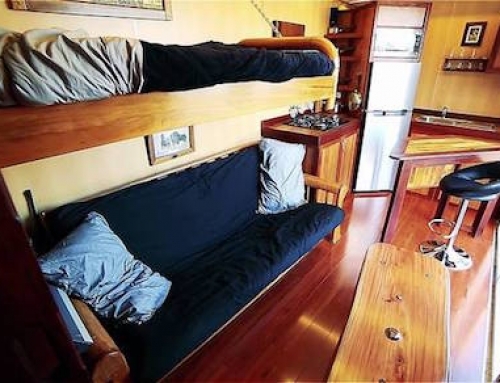 They will simply be slotted into place and welded together to form the apartment units. Keeping the original shape and look of the containers would allow for the exterior of the building to be painted in different colors, giving the tower a unique look. 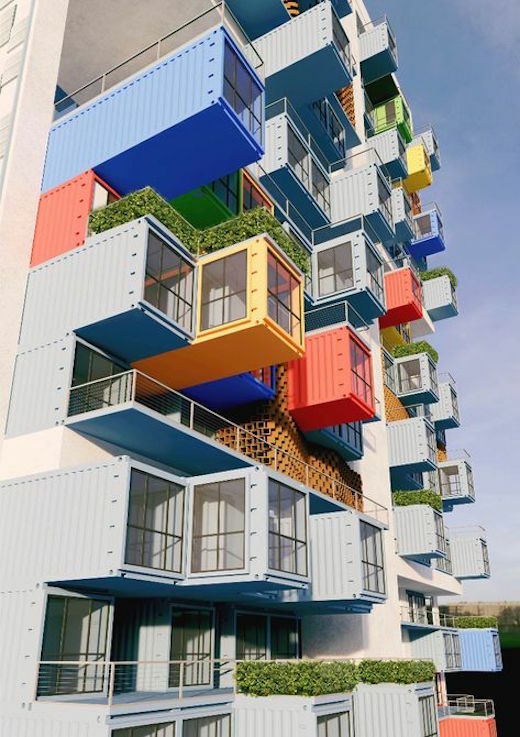 Each of the apartment units would be made up of three shipping containers welded together. 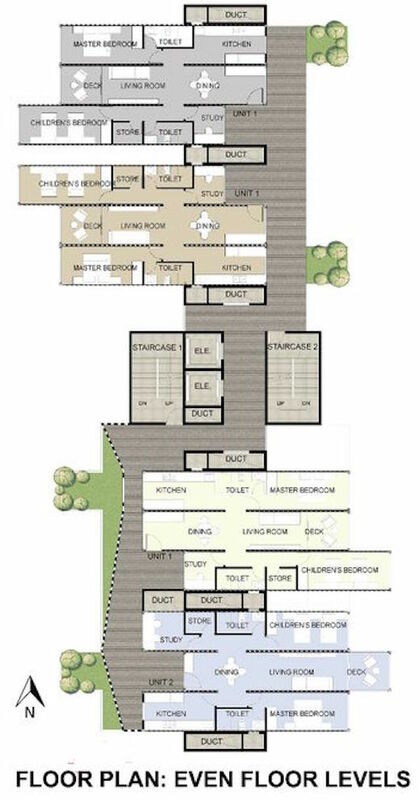 The units would have a kitchen, lounge, dining area, master bedroom and kid’s bedroom, as well as two bathrooms, a study and a deck area, The units would be placed around a central core of the building, that houses the stairs and elevators. 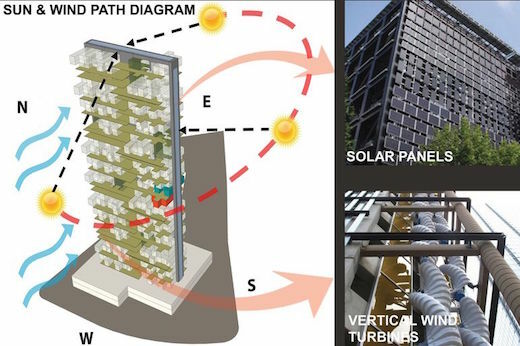 The skyscraper would also feature a solar panel array mounted on the south-facing facade, while energy-saving LED lighting would be used throughout. Designers are also set on using wind turbines to generate additional energy. 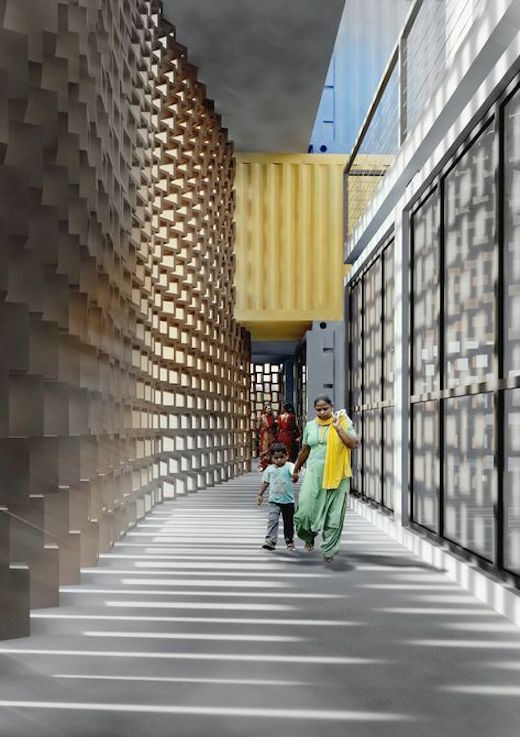 The corridors of the building would be clad with terracotta jaalis (a traditional Indian latticed shading and ventilation screen), which would be made locally using recycled materials. Use of these screens would provide adequate ventilation for the interior spaces, as well as let in ample amounts of natural daylight. This project is still in the concept stage with no word yet on when construction is to begin. 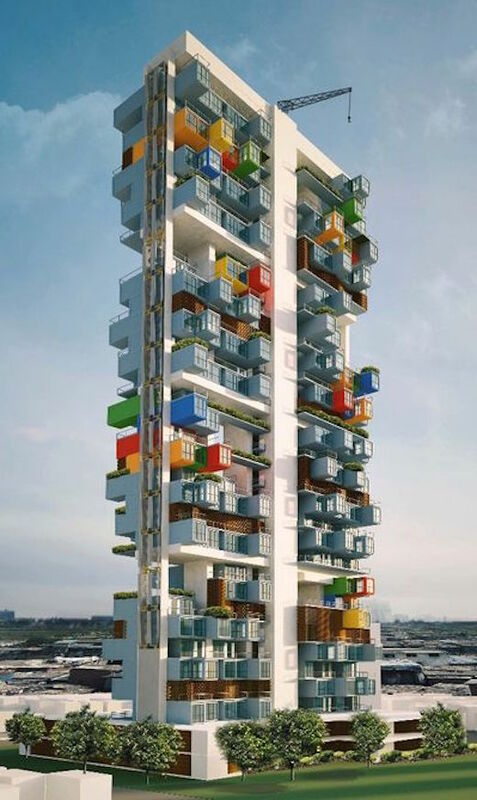 I love shipping container projects and have for years, so my comments don’t come from an aversion to the concept, but these two “skyscraper” proposals for Mumbai are just silly. There are many things that containers can do well but this surely isn’t one of them. 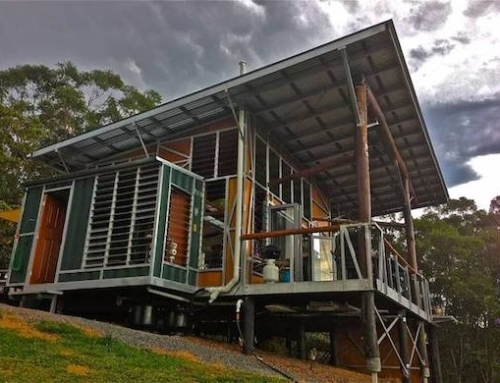 If nothing else, I would question the ability to do this sort of project using fewer resources than more conventional construction methods, and I think that must be the criteria we judge a low income project which both of these are. What you are saying makes sense. However, could you please give a short explanation why they cannot be stacked this high. How high would you think they can go? On ships they go like 12 high maybe? What if you put extra support? with light cargo they can be stacked 12 high, but the highest I’ve ever seen them on a ship is 8. The point of my comment comes to your question about “extra support”. To go 20 or 30 floors with containers, they can no longer be self-supporting, meaning extra structure, and it’s at this point that you lose the advantage of containers. 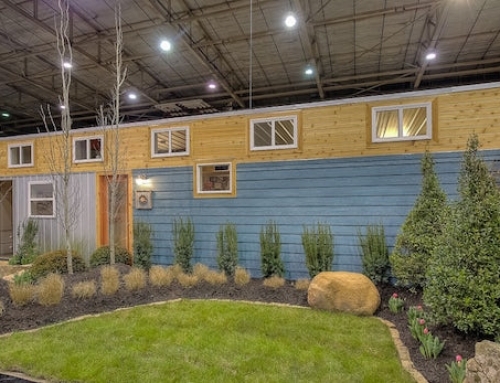 Once you have to add adequate supporting structure and services, you drive up the construction cost to a level above that of a dedicated design, which defeats the objective of “low cost housing”.